OH MY GOSH. You guys are the absolute best. 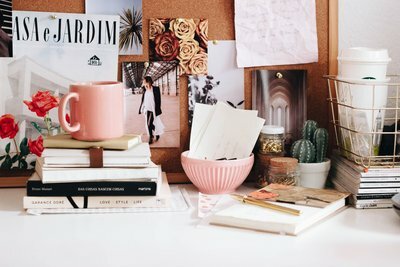 The other day, I sent out a quick video to my email subscribers to share how I optimized my pinterest account and the response to these Pinterest tips has been overwhelming. Some of you even said that implementing these quick changes added another 15,000 views to your account OVER NIGHT. WHOA. To give you the rundown, a while back I had around 650,000+ monthly views. Pinterest made an odd update (although I’m sure necessary) to their algorithm and I dropped to around 150,000 views a month. And while 150,000 is still great, it isn’t 650,000 so I knew I needed to get to work. I began updating and optimizing, trying new things, and even running ads (as you’ll see below!) to get those numbers back. A few weeks in, Pinterest did another update and instantly my updates began working. I’ve been gaining thousands within a matter of days and am now back up to 400,000 views within about a month and a half’s span. So this is my way of sharing what I’ve been doing on Pinterest with YOU. You can watch the video below for my Pinterest tips or read through, either way the content is the same. PS: Shortly after this blog post launched, I shared Socially Automated – my guide that shows you how I craft a month’s worth of content + get it scheduled for the ENTIRE MONTH in less than two hours. From my email marketing to blog content, instagram, facebook, and even pinterest – it goes through my exact process and how you’ll automate every single thing. This process keeps me stress-free and able to scale my business while doing LESS so that I can focus on the big things. If you’re interested in that, click here for the details. After creating your account, visit the settings area in the dashboard and click “Profile” and then, scroll down to CLAIM. Follow the directions to claim your website so that you can get proper attribution for your content. Your followers need to know who you are and how to find you. First, add your name to your profile. You can even add a fun keyword after your name. For example, “Kaitlin Fontenot | Web Designer”. Afterwards, ensure your profile photo is a personal photo of you or your team. While you’d think a logo works, people want to see your face. It allows them to feel a personal connection to your brand. Then, add your actual bio! Who are you? What do you offer? Do you have a fun free download to offer? I like to give a snippet of who I am (and include lots of keywords there) and then add keywords at the end of my bio. And here’s the thing: you can change ANY OF YOUR KEYWORDS, ANYWHERE ON YOUR ACCOUNT as many times as possible. I always recommend testing new keywords bi-monthly on your bio and your boards. Make sure you have a link to your website in your profile! Whether you want board covers or not is entirely up to you and up to what your target market prefers to see. I’ve tested both and no board covers work best for me. However, go all or nothing. If you choose to use board covers, ensure they all have them and vice versa. With a max of 25-30 boards, ensure your boards are actually going to be what your target market would want to see. If you’re a women’s boutique, ideal customers won’t want to see a Pinterest board to plan a baby shower. Now, if you’re a children’s clothing store – they might want to! But, that doesn’t mean you can’t pin these things, it just means they need to be kept private to appear less cluttered. Just as you would with your actual pins, you’ll need to add descriptive keywords to your Pinterest boards. The crazy thing is: this doesn’t have to read as a paragraph. I’ve tested quite a few options and writing keywords out like the following actually works great. Tip: to quickly find great keywords, utilize the search bar. Begin typing a keyword and you’ll see a multitude of keywords that are being used a lot! Do me a favor: go find someone who has a large amount of followers in the same industry as you or with the same general aesthetic. Scroll to the bottom of their boards and find the group boards they’ve joined. Visit those boards and read the bio to see if there’s a way for you to join that board. Usually, they just ask to send an email to them or message them on Pinterest. Join them and start pinning there! 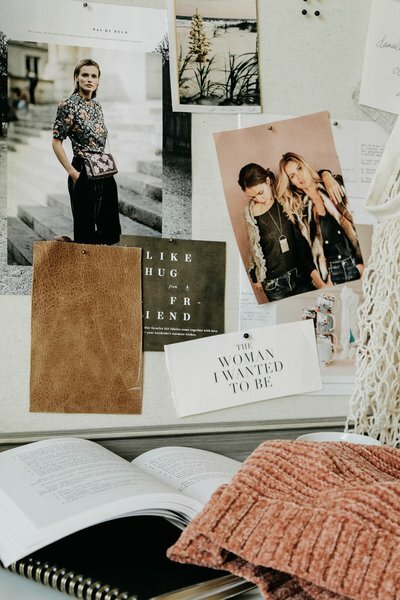 If you have a portfolio of your work or a blog that you haven’t been pinning from, take a little time to go through and begin pinning that content to Pinterest. Once you’ve joined group boards, you can pin there to continue distributing your content. Whether you need actual Pinterest graphics or can use a high-resolution image is up to your audience. What do they enjoy seeing? For example, if you’re in the interior design market and want to post your new living room update, images do best. However, if you’re sharing a DIY project, you’ll need to add text to the image to get their attention. Canva is great for this! One of the biggest misconceptions with Pinterest is that you need to just delete, delete, delete to clean up your boards. I beg you not to do that. The followers and impressions that you’ve gained from that board will be gone forever once you’ve deleted that board. If you need to remove a board, just hit “edit” and then click “Archive.” You can later add the board back if you need to. You can also just make it secret! Step 8: Utilize Pinterest Ads! Go to Pinterest and make sure you have a business account setup (if not, just click here to sign up, it’s totally free!) And then, head to your profile and find a pin of yours that’s been performing well. You can also upload your own – I really love to do this when we launch new websites to get traffic to our portfolio. Click that pin and click promote. Update your pin info and add keywords, make the destination URL the link you want them to click, create your budget, and set the number of days. And then, click promote and BOOM – you’re done. I typically set my ads for $30-50 for a range of 2-4 days to quickly test how they’re performing. Try and really consider keywords that are performing well. One quick trick to finding keywords on Pinterest is to head to the search bar and start typing keywords you’d use – you’ll see tons of them pop up. Try to be descriptive and use keywords that would actually be conducive of your pin, you want to ensure your money is going to people who actually want to see your pin and will click! There you have it friends! I hope these Pinterest tips are helpful and if you’re looking for the video, it’s just below. I’d love to hear your thoughts and any tips you’ve tried that have worked. How to use Pinterest from Kaitlin Fontenot on Vimeo. I simply needed to say thanks once more. I’m not certain the things I would have carried out without those strategies provided by you directly on such concern. It was before an absolute daunting dilemma in my view, nevertheless considering your skilled form you resolved that forced me to weep over gladness. I am happier for your service and as well , trust you find out what a powerful job you were accomplishing instructing most people with the aid of a site. Most probably you have never encountered all of us.